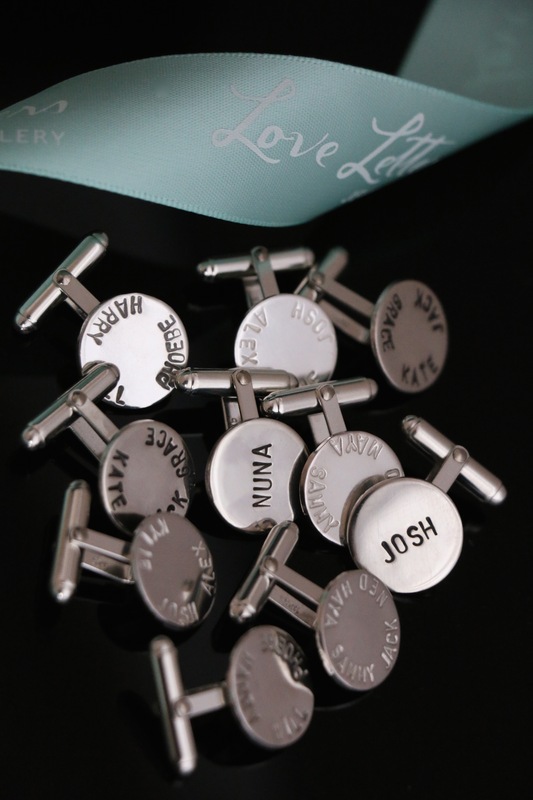 A number of amazing Dads received these beautiful Love Letters personalised cufflinks for Father’s Day 2015. My father received the cuff links and was wonderfully surprised …. As we now live in Abu Dhabi and him in Melbourne, Australia it was so nice to be able to send him something for Father’s Day so personalised ….. I have no hesitations in recommending your service to my friends and I can’t thank you enough for your help. Kindest regards Melissa Faherty. Hi Sophie, We had a lovely Father’s day made extra special by the beautiful cufflinks. My husband loved them and and will wear them with pride. They are a lovely reminder for him of home as he spends lots of time traveling overseas for work. Thanks again for your help with this. Much appreciated. X Kirsten Worthley.